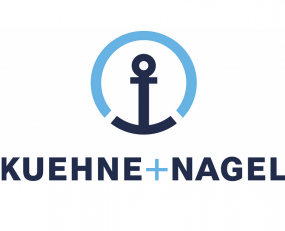 Kuehne + Nagel (K+N) has reported top and bottom line growth for the nine months ending September 2018. Totalling CHF*15,361m, revenue increased by 13.6% in comparison to the same period in 2017. This was driven by strong volume growth, with significant development in seafreight. EBIT for the period increased 8.8%, year over year, rising to CHF 745m. Volumes in K+N’s seafreight business increased by 8.8% shipping 3.519m TEUs, 284,000 more than in the same period of the previous year. This contributed to net revenue growth of 7.8% in seafreight as it reached CHF 5,250 for the period of January to September. The business was able to gain new business with digital end-to-end solutions and saw demand rise for the two digital platforms KN ESP and SeaExplorer, launched in 2018. EBIT for the first nine months of the year was up 5.2% at CHF 324m with stable margins. Tonnage in airfreight was up by 16.0% to 1,302m tonnes along with revenue which stood at CHF 3,598m representing an increase of 24.8% year over year. With the recent acquisition of Panatlantic’s business, a perishables airfreight specialist in Ecuador, K+N has developed its network in this segment following from the integration of the CFI Commodity Forwarders, a perishables provider in the USA. EBIT was up 19.4% against the same period of the previous year at CHF 271m. K+N’s overland segment posted growth in its net revenue of 16.2% growing to 2,630m. This growth was driven by the US intermodal business, which benefited from the increase in oil prices, and dynamic business development in Europe, particularly in Germany and the UK. EBIT improved 58.3% over the previous year to CHF 57m. In contract logistics, net revenue stood at CHF 3,883m which represented an increase of 10.6%. Regionally, growth was driven in North America, Asia and Germany whilst e-commerce fulfilment solutions also contributed to the business performance. Developments in this sector include the launch of a new digital warehouse management system and the acquisition of the Chinese automotive logistics group, Sincero, and the local Indonesian logistics company, Wira. EBIT deceased year over year to CHF 93m down from CHF 114m in the same period of 2017.